Everything in our life is seems to be a project. It can start from a very simple set of tasks that a designer needs to follow up and end with complex product development that needs to plan the work of hundreds of developers, suppliers, manufacturers etc. So, in today’s product landscape I can see two orthogonal trends – the development of specialized project management tools deeply integrated with PLM (or even becoming part of PLM portfolio) on one side and general purpose project management tools on the other side. And when the time comes to make a decision – how can companies and end users can decide what is the right choice? What are the benefits of each approach? Will they get married or divorced? Although the difference between these two approaches is obvious, is a clash already inevitable? Let me summarize short how I see both of these tools. General purpose project management tools are providing best practices of project management and their main focus is on product productivity, simplicity and general acceptance by customers. So, in their view, a product should be simple, with a sufficient set of features and excellent user experience. Product landscape in this category is heavily impacted by Microsoft Project. On top of the general purpose PM tools, there are a number of more specialized project management tools following specific industry and other best practices (i.e. project methodologies, regulation and other specific industry practices). PLM project and program management. By recognizing project development needs during product development, more dedicated Project Management tools were developed by PLM providers (i.e. DS ENOVIA MatrixOne Program Central, TeamCenter Portfolio Program Project Management). The main point of these tools was to merge Product Lifecycle Management capabilities with product development. By doing that users have a much more dedicated environment focused on the specific needs and characteristics such as product information, automated tasks etc. Both approaches have advantages and disadvantages, in my view. General Project Management tools are targeting a wider customer audience, and can provide higher feature level, usability and lower prices. On contrary, these tools are sometimes too generic, disconnected from ability to work together with PLM tools and inside of PLM environment. 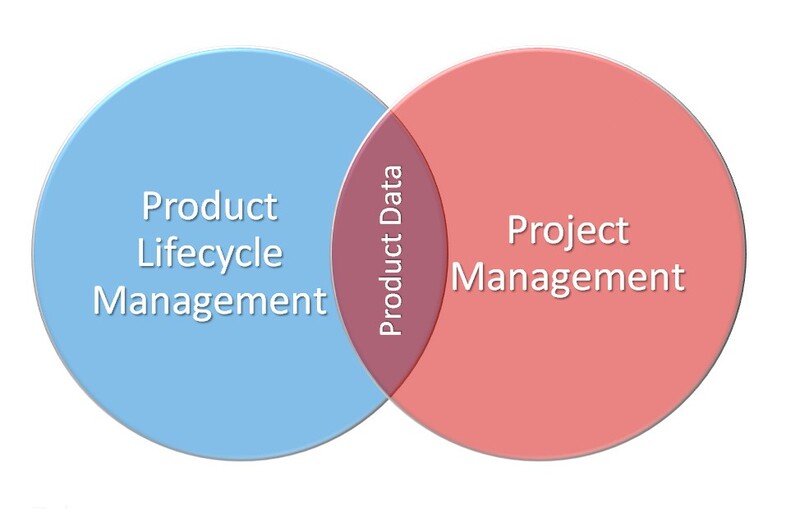 PLM PPM (Program and Project Management) is heavily focused on specific tasks related to product development, better connected to rest of PLM design and engineering tools. At the same time, these tools are more complex and sometime lack behind of modern user experience, look and feel compare to mainstream general purpose tools. These special tools normally have higher price tag and higher value for end users. In addition, I’d like to point at two more segments – Microsoft Tools and on demand (SaaS) project management tools. Microsoft offers Microsoft Project as well as promotes the active usage of Microsoft SharePoint for project management together with MS Project. With a very high market share, Microsoft provides a premium tool in terms of feature and functions and, of course, is an attractive offering. On-Demand tools as an opposite, offers a simplified set of tools, focusing on extremely fast learning curve of users and a fast adoption rate. So, where is the silver bullet for manufacturing companies? When specialized PPM tools can definitely provide value, given the current economical situation, my prediction is that customers will try to follow a less expensive offering and will try to integrate general purpose project management tools within the product development environment. This trend will be clearer for smaller manufacturers compared to SMB companies. With this landscape, I think that PLM vendors need to focus on content integration between general purpose project management tools and PLM content. This combination will allow vendors to reduce the cost of PPM (Program Project Management) tools and improve the integration between enterprise systems in the companies. I couldn’t agree more. Time is perhaps the one critical factor that currently PLM systems can’t wrangle into some form of management process. Microsoft Project has achieved such wide usage that, as you say, there seems very little point in trying to replicate that wealth of data and to integrate to it, rather to use it to extract the usable information and present it within a PLM environment, so those that need to, can gain an understanding of the context of their work with respect to time. And vice versa. While there’s standard ways to present time-based information that are universal (you know, the Gannt chart and such) and that’s never going to disappear, there is a potential to mix that information with 3D content and use it to some form of benefit – quite what that would look like, I’m not too sure, but the idea is intriguing. 3D Live is a good example, where parts and sub-systems can be colour coded by status and stage within a workflow or approval. Al, thanks for your observation. I think, we need to look on this from user productivity standpoint. Different project participants need to have different tools. Those people that define projects, need to more sophisticated tools and people just marking tasks “completed” need something else. By going this path PLM can find their way into Project Management. Although I am a believer in creating a link between project tools and PLM, I don’t think this has been a successful endeavor thus far. At Arena we created a capability that tied the project structure directly to the BOM (link here: http://www.arenasolutions.com/products/features/prj_collab.html) but found very modest customer uptake on it’s usage. The existing paradigm of MS-Project is hard to dislodge, even though most customers will tell you they find it cumbersome and not very useful for the actual management of project progress and activities. The complexity of product projects and their individual piece part projects seems a natural to link to PLM, but I’m not aware of a wide spread success of this to date. On-demand should solve the distributed team, real-time update needs, but Arena’s case suggests the bigger challenge is to confront the ingrained approaches of project managers. I agree. I also think there is a bit of “power” that comes with being master of a tool set and owner of a process that can be threatened with new tools and processes. Particularly if the new tools/process diffuses the knowledge in the organization (which I believe is much better for execution of complex projects), rather than keeping it in the control of the project management “expert”. I agree that a focus on integration between general purpose project management tools and PLM content results in real benefits for manufacturing companies. This is certainly a key issue for PLM to address – when we were doing our market research prior to the introduction of Teamcenter Express we found that 80% of SMBs described themselves as being very or somewhat project focused (as opposed to being product line focused). One feature our customers like is the live link between Microsoft Project and Teamcenter – for example a project manager can get a list of users or user roles from Teamcenter when assigning resources in Microsoft Project. With regards to you statement about “master of a tool set and owner of a process”, do you see specific company roles that requires mastering in both tools? I believe there are people in the company that need to oversee project and product information as well. Thanks about sharing this information about TeamCenter Express work. Does it mean TC Express contain set of capabilities to plan project (GANTT etc.)? Thank you for comment. Can you share more information about how you achieve this integration? Did you implemented typical 5 stage-gates methodology? What is most interesting how you organized work packages? will be the CPM-XML-Schema as well as possibilities for implementation in pilot projects. Interested users in the area of project management and cross-company processes are cordially invited. Christophe, The information about Pro-step is interesting. Do you know about outcome of CPM-IF forum on Apr-1 you mentioned? to answer your question – yes – when you add the Program Execution Management module you get full capabilities to create project schedules using a GANTT type approach. You could also create the schedule in MS Project and pull in into Teamcenter Express. An interesting issue for us has been to try to create some preconfigured project schedules as a starting point for our users – I wonder if different companies are too unique in their definition of a design-through-manufacturing project schedule for us as a vendor to add value here – or are there some best practices out there for these schedules? David, so it means your approach is more to be integrated with project management tools? What I think can be very disruptive is to develop all capabilities to develop project schedule inside of PLM tools. What is your view on this? – thanks, oleg. Oleg, from a Teamcenter Express perspective we are taking advantage of a proven solution from our Teamcenter portfolio that does have the capability for developing project schedules inside the PLM solution. Our SMB customers may prefer to pull in these schedules from Microsoft Project. What I think is more important is irrespective of the origin of the project schedule that an engineering manager working in the PLM system can quickly see what projects his engineers are working on, what projects a design is linked to and can take advantage of the link between PLM workflows and the project schedule – for example when a workflow is completed that automatically triggers the next activity in the project schedule. Do you have any views on offering templates to customers for design-through-manufacturing projects? Is this something that is available with Smarteam Manufacturing Express? Am intrigued by the way this discussion has evolved (esp the fact that everyone, including myself, appears to work at a PLM software company 😉 What companies everywhere are struggling with is ‘satisfying all of the people, all of the time’. MS Project users want MS Project, CAD users want PDM, Ops people ask why all this info can’t just be in the ERP? On the topic of ‘preconfigured project’ templates, with the open approach industry leading companies post their project templates with deliverables, milestones, etc for other companies to freely download and take advantage of… it’s a great way for companies to get proven best practices. Chris. I think this very valid point. I think MS Project is very complicated if you are trying to use it for execution. Because, when you change, you need to rebuild plan… so, may people prefer to have tasks lists. Therefore many project files never got update after being created first time. – Oleg. My experience parallels Chris’s. MS project works very well to lay out a project, but, keeping it current with during execution is tough. At my last company, we used Aras Innovator to manage the automotive APQP process. We deployed several standard templates and each site would tailor them to their requirement. Medical and general industry businesses were able to use APQP as a starting point. In most sites we were replacing Excel. 1. It was easy for task owners to update their tasks and keep the project status current. 2. The appropriate deliverable (typically a file) was managed by the PLM environment, and linked to the project task. I think delivering industry specific templates is a good idea. Tom, Thanks for your insight! The main point I see is connectivity of data and ability to update status easy is key to have such environment to operate in smooth way. -Oleg. Hi guys, I was thinking at this problem, and just found these posts. Very intersting discussion, actually. I agree with those of you who say that project management is very generic, and not very useful (only interesting to manage time and costs). I think that customers want to relate the plans to reality, meaning data, which are in the PLM system. If you have both in the same system, then you can compare what you have vs what you had planned, and what you have spent vs what you had planned to spend. Otherwise, what you have in a “pure” project management tool is simply theory. It will be interesting to see how this plays out, as most vendors want to control the account, and all the data. The vendor sales pitch for the most part to to replace the legacy environment with their new and improved product. Considering the variety of systems and software used in a larger supply chain, mashup and SOA technology are the best hope to tie the environments together. The problem with MS Project is you only use it twice in any project. Once when you plan the project and again when you replan the project. MS Project is like PLM. They are both tools people report in but do not work in. You plan a project in MS Project and maybe even plan your product in PLM, but when it comes time to execute you open Excel. After going through all the conversation just wants to mention that there is tool called CASQ-it from Boehme & Weihs Germany it can be use for Project Management. In CASQ-it if user update anything from his user id this gets automatically updated to the manager screen, so it integrates multiple departments as well as your different Plants.